MIUCB Just For Fun challenge! For every 100 entries, one lucky participant will win a mystery prize! As you know, we are a monthly technique challenge blog featuring various techniques on mixed media projects, altered art, and/or paper crafts- cards, tags, mini albums, ATCs, 3-D projects and scrapbook layouts! 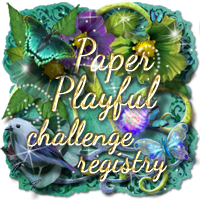 Anyone can play in this challenge ... you can use any technique you want ... you can enter this challenge as many times as you want ... you can combine this challenge with as many other challenges as you want! 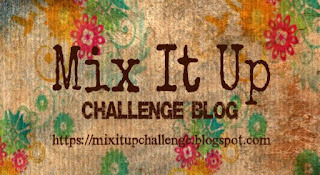 The only thing I ask of you is to please share our badge and link to the Mix It Up Challenge Blog in your blog post so your crafty friends can come over and play too! This challenge will close on April 30th at 6:00 PM EST and the winner(s) will be announced on May 5th at 6:00 AM! Let's 'mix it up' and get this FUN started - can't wait to see what you create! Link up below for MIUCB Just For Fun! The Mix It Up Challenge Blog DT Call is closed as of 10:00 AM EST on April 1st. A sincere thanks to everyone who applied! If you didn't make it on this new team this time, don't give up! Continue applying whenever you see a DT Call! Each and every one of you has major talent but unfortunately we could not take everyone! Thanks again! Hi everyone! I'm happy to introduce another new member of the Mix It Up Challenge Blog DT! Say hello to Lisa-Marie! Her blog is Scrap | Paper | Scissors and I know you'll agree that her work is just amazing! My late grandfather was a self taught artist and as such, taught me a lot of what I know now. I have always loved being creative and tried many different art forms - but it was scrapbooking that REALLY grabbed me in 2007. I've never looked back! I love photography too - so it's a great way to combine my two loves! I like my scrapbooking to tell a story, so the majority of my work will have a little 'history' to it. I'm a widowed, stay-at-home mom; and I do have an amazingly supportive life partner. They are both my world and I am building more and more memories with them to scrap! I love doing single page layouts and mixed media canvases; more recently, I've been bitten by the art journal bug and I am officially HOOKED! I'm looking forward to working on this team, alongside fellow talented artists! What a privilege it is for me to serve on this team and to, hopefully, serve as an inspiration!